This time last year, Kate Goodman was awaiting scan results from her oncologist to determine whether she was clear of breast cancer. One your on, she has been awarded the Australian Women in Wine Awards winemaker of the year. The head winemaker of Penley Estate in Coonawarra and the owner/winemaker of Goodman Wines in the Yarra Valley, Ms Goodman has established a career across two states making the styles of wine she lovers, while also fulfilling her obligations as a mother, partner and what was required to service her battle with breast cancer. Ms Goodman was presented with the award at a ceremony in Sydney and acknowledged for her deftness and agility to create a new generation of Penley Estate wines while simultaneously establishing her own wine company in a few short years. Her career spans nearly 30 years across familiar wine brands such as Wirra Wirra (McLaren Vale), Tim Kanppstein (Clare Valley), Seppelt (Great Western), Punt Road (Yarra Valley). 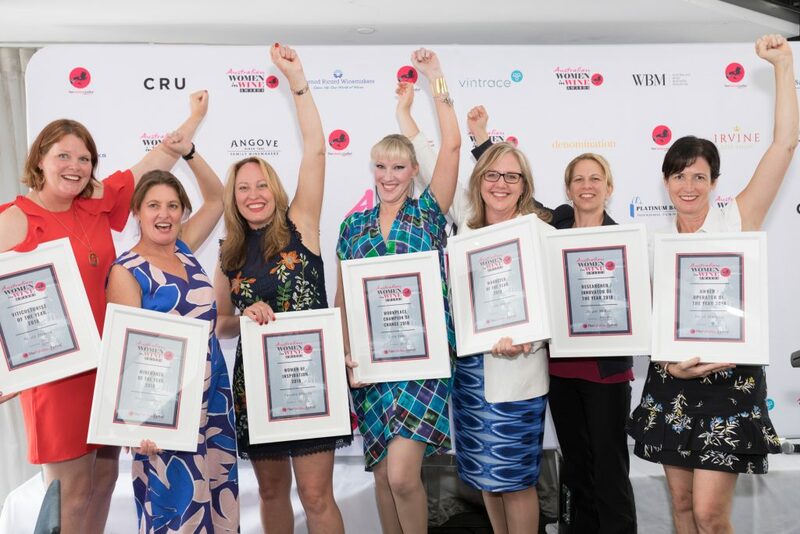 “While gender does not necessarily make you a better winemaker, it is heart-warming to feel the support of other women in the industry and to use this award to encourage young women to achieve what the set out to do in the wine industry.” Ms Goodman said. “It can be a tough industry for anyone. It is physical and can be dirty work, but there is an active and strong community of women who make it easy for us to share, learn and acknowledge the challenges we can face so others find it easier to forge a rewarding career in wine. 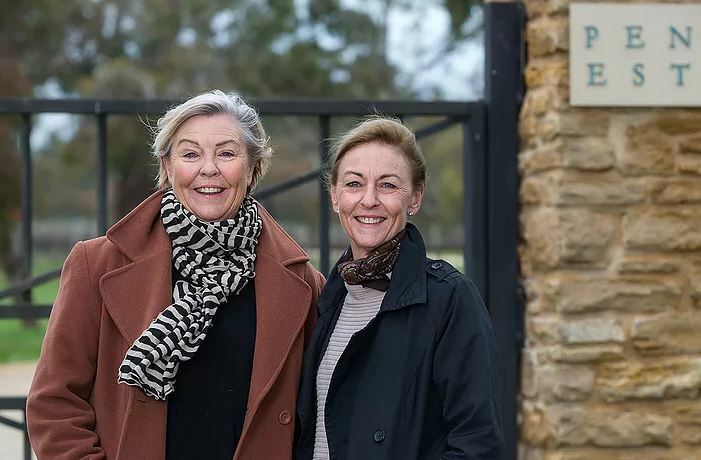 Goodman Wines became a reality in 2014 and in 2016 when Ms Goodman’s longtime friend Ang Tolley asked her to join the Penley Estate team as their chief winemaker to help them turn the company into a shining new light in Coonawarra. “I knew Kate would bring something special to the Penley brand, owing to her love of cabernet and her desire to push the boundaries. I am thrilled for Kate in receiving this award”, said Ms Tolley. Ang and her sister Bec Tolley took the reins of Penley Estate from their brother Kym in 2015. As direct descendants of the Penfold family with lifelong ties to the South Australian wine industry, they recognised the heart, talent, and expertise of Ms Goodman to transform their wines into more bright, contemporary and universally attractive wines. Ms Goodman travels fortnightly t Coonawarra during the year and weekly over the harvest period from February til April. 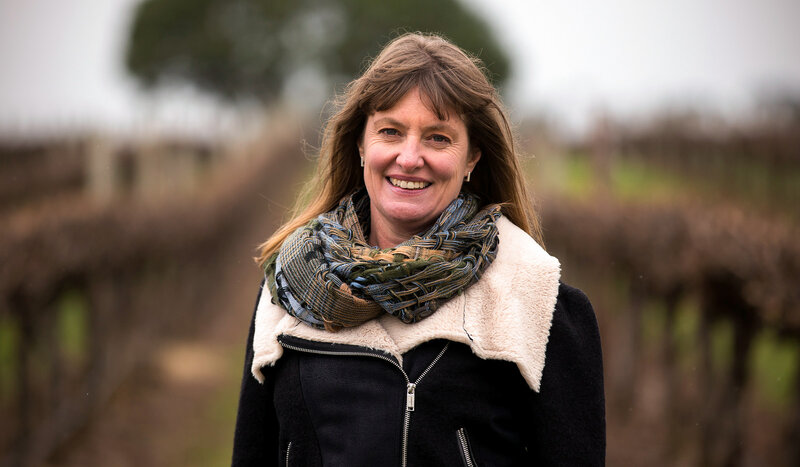 She has worked with their heritage vineyard to create a more fresh and vibrant expression of Penley Estate cabernet sauvignon, cabernet franc and Shiraz. Ms Goodman’s battle with breast cancer in 2017 was not known to the judges for this year’s Australian Women in Wine Awards, yet the award has reassured Kate of her rightful place in the industry and to never take for granted the help and support of her industry colleagues.